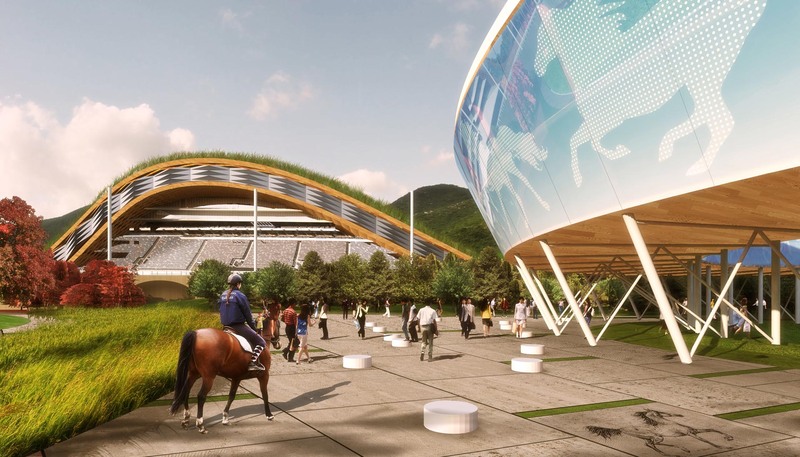 Horsetopia is a horse park in Yeongcheon, South Korea. 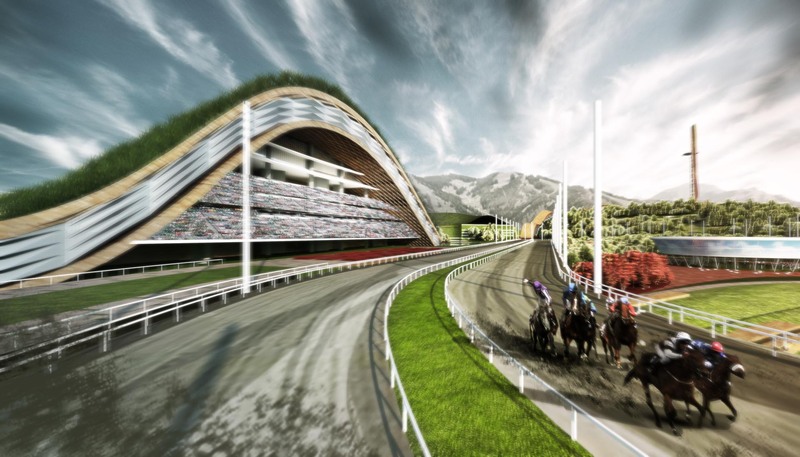 Half of the 1,474,883㎡ site is dedicated to horse racing and the other half is dedicated to horse-related activities. 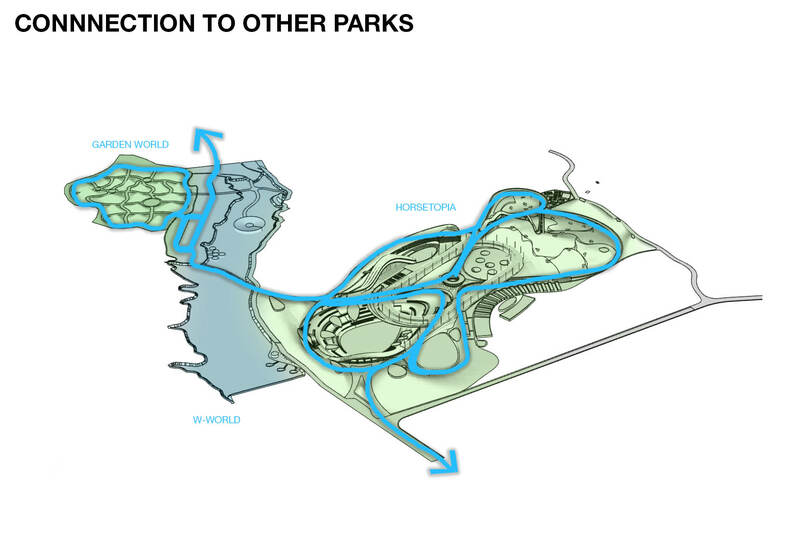 This proposal is a multi-disciplinary approach to create a sustainable and profitable park. 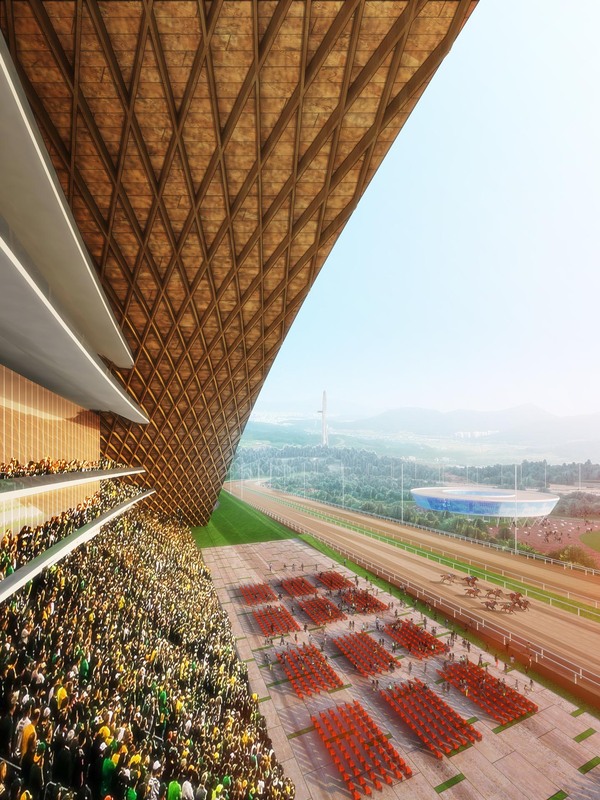 It aims to elevate the status of horse racing in the next 10 years. Urban people live a “fast” life but all desire to live at a “slower” pace. 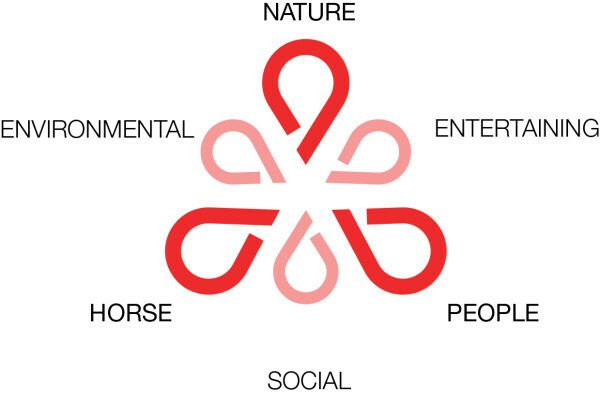 Horsetopia targets urban customers who are seeking an alternative lifestyle. 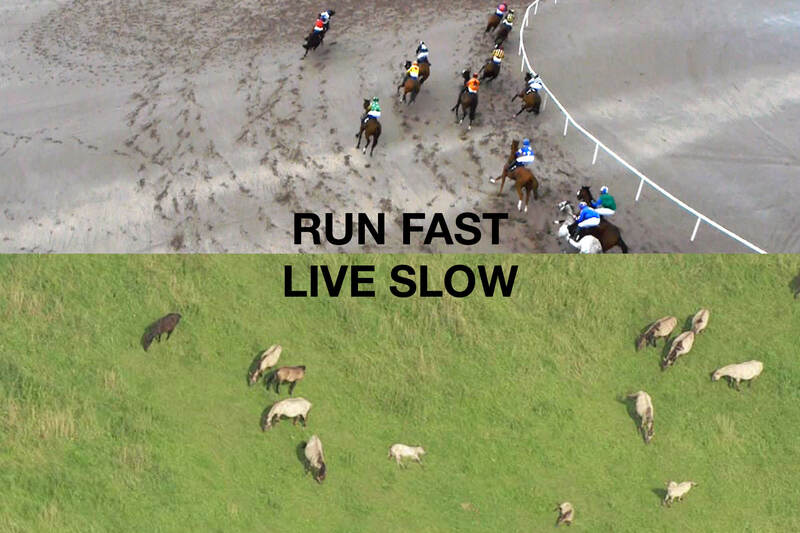 Horse is a reflection of our desire to balance between “fast” and “slow”. 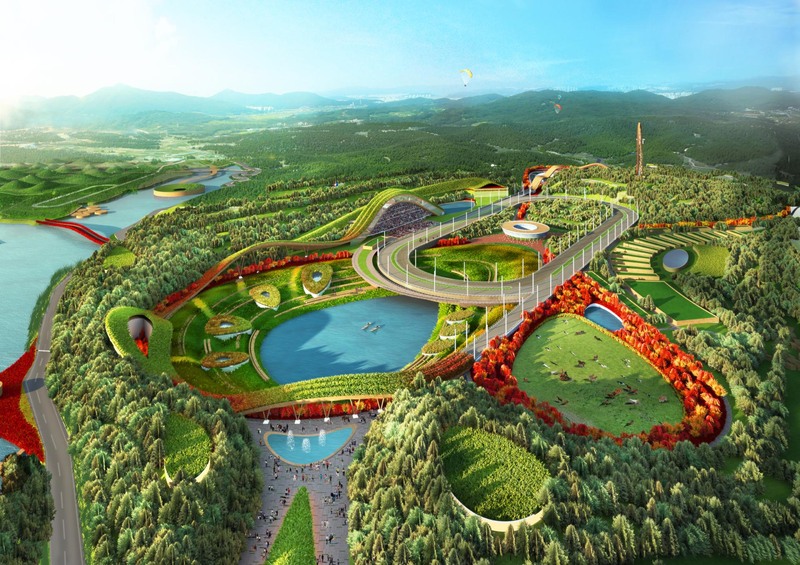 Horsetopia will inspire people to treat nature as playground and horses as our companions. 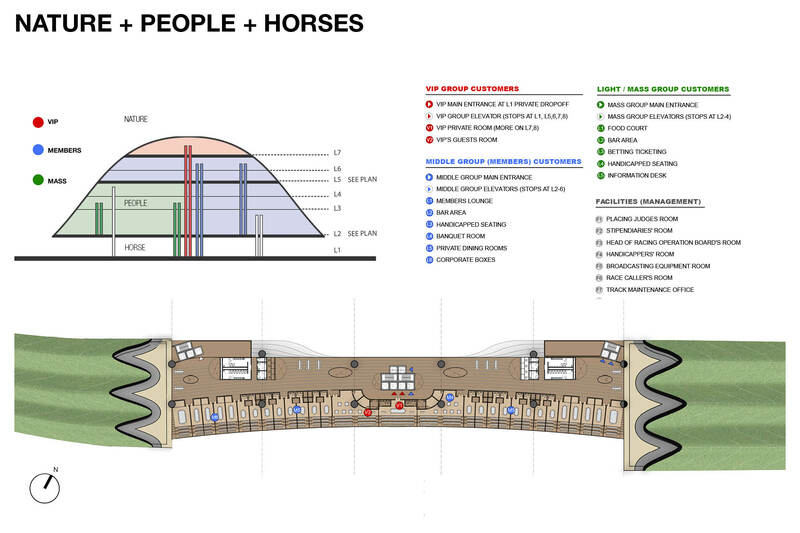 It aims to bring passion and tranquility to people, horses and nature. 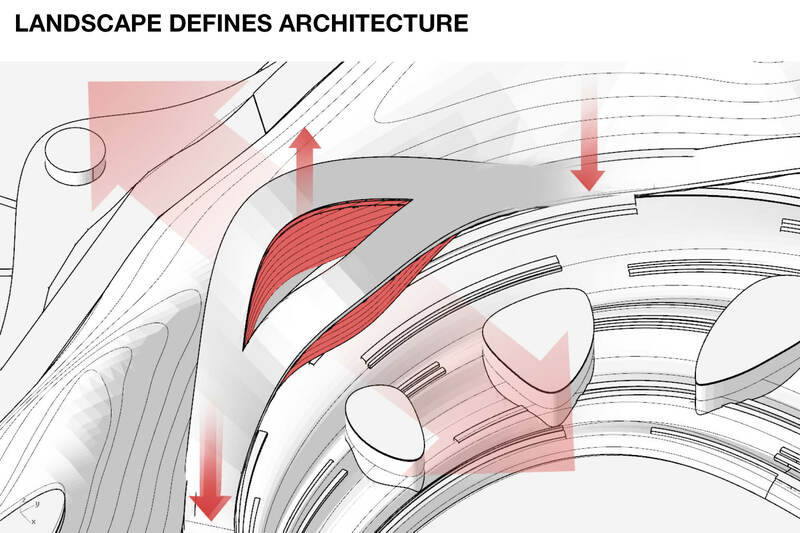 All architecture are designed as extension of landscape. 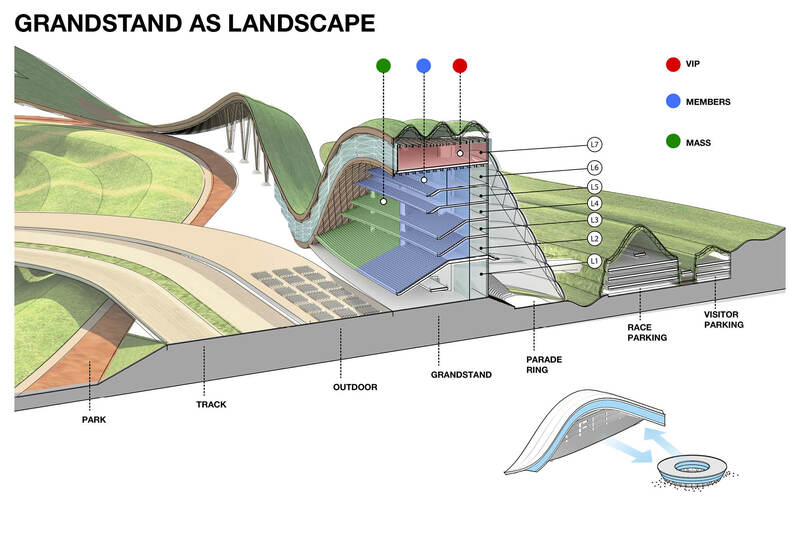 The undulating landscape are used to define zones and created a park without boundary. 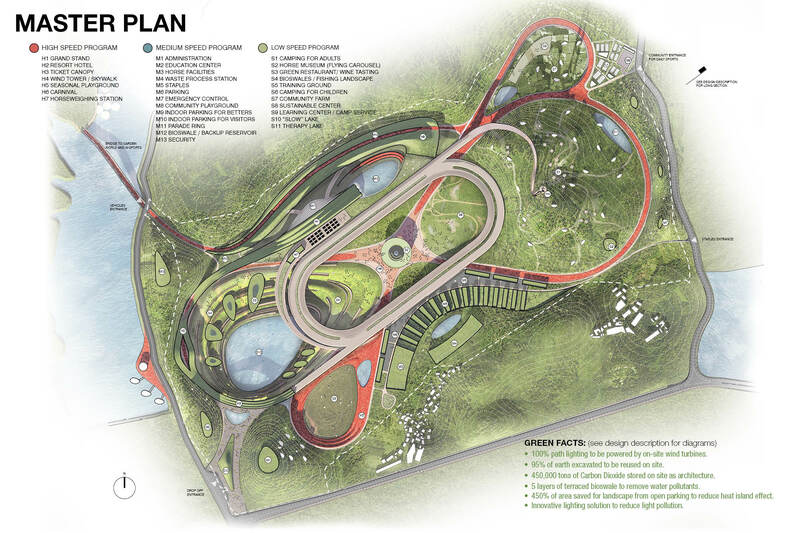 The racing track is used as a focal point and various features spins out of the fast track to create slow zones. 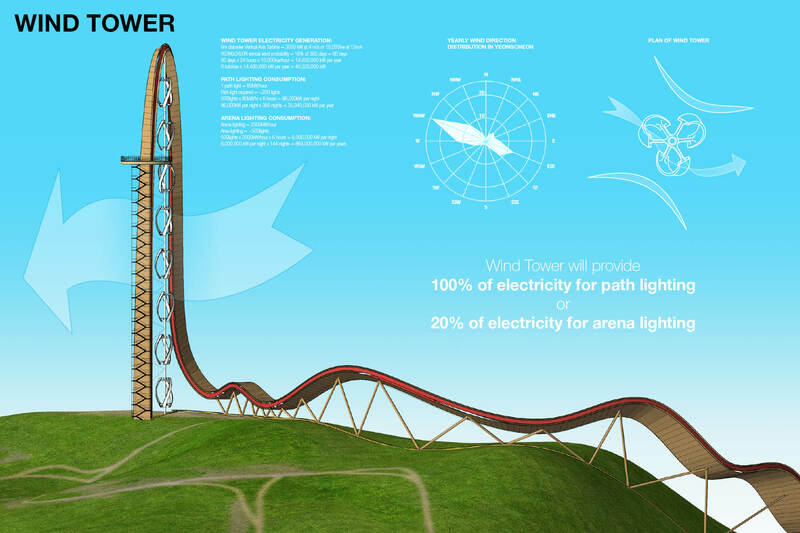 100% path lighting to be powered by on-site wind turbines. 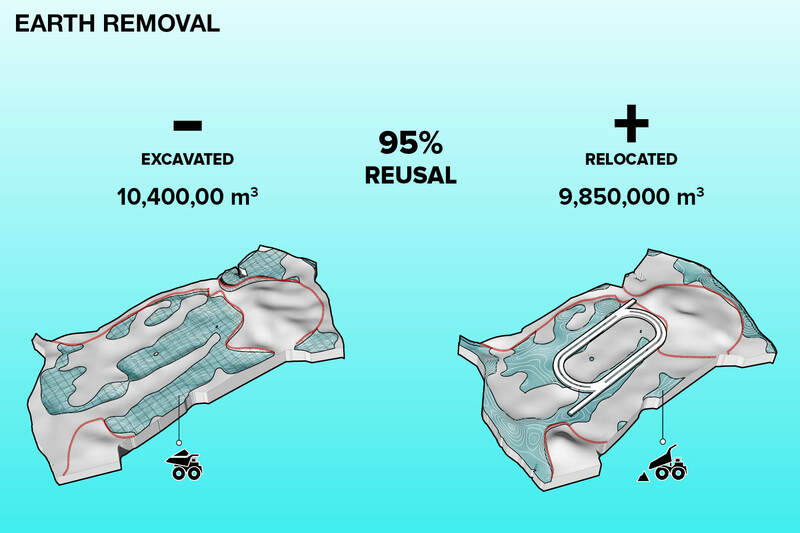 95% of earth excavated to be reused on site. 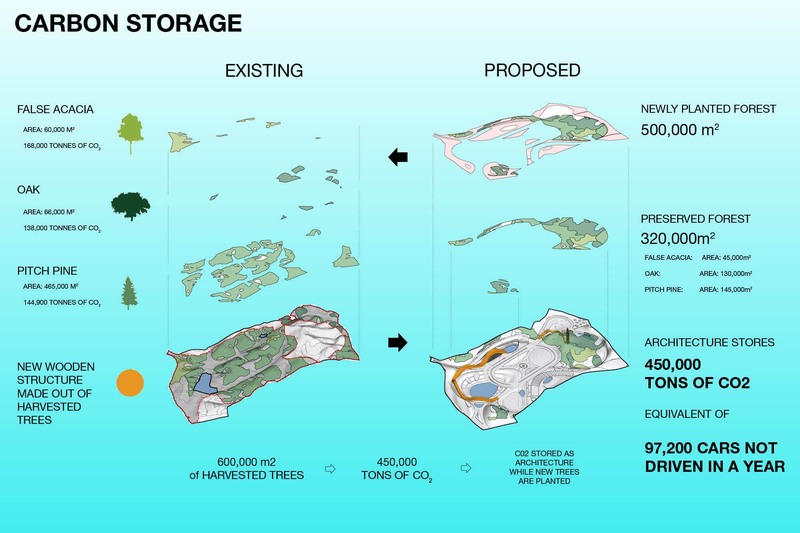 450,000 tons of Carbon Dioxide stored on site as architecture. 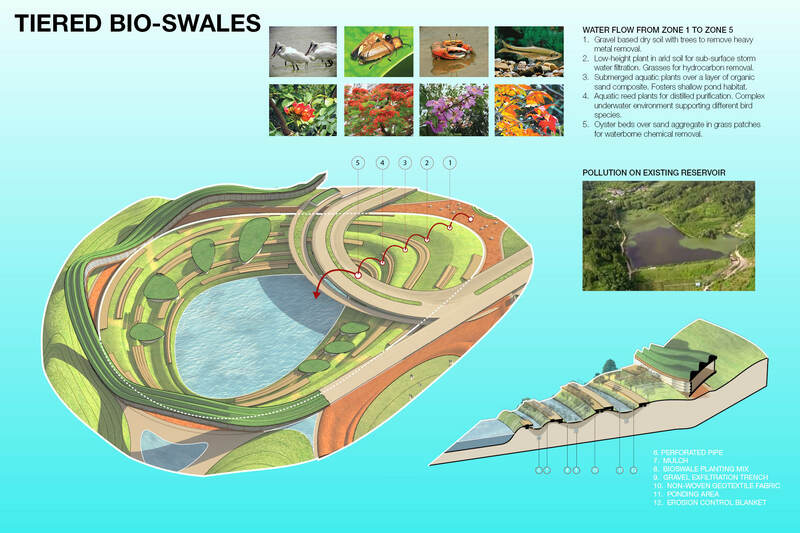 5 layers of terraced bioswale to remove water pollutants. 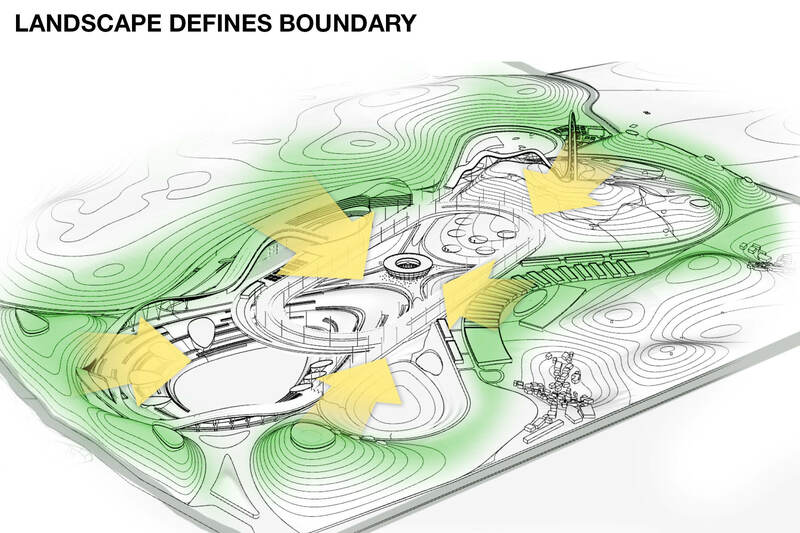 450% of area saved for landscape from open parking to reduce heat island effect. Innovative lighting solution to reduce light pollution. Food to be grown on site and food waste to be processed on site. Souvenir to be made with food waste and horse waste. 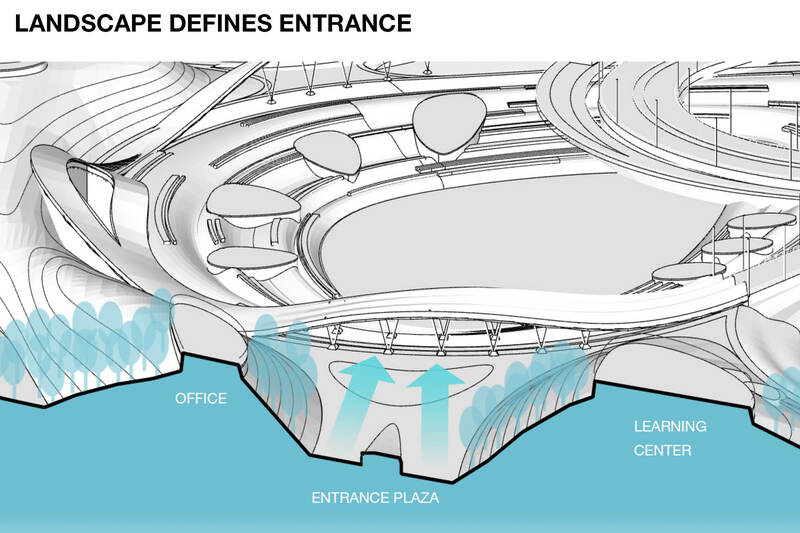 The master plan defined by an infinitive loop combines nature and architecture. It is a park created without boundaries but isolated from reality. Different design features and programs make Horsetopia a destination worth visiting again and again. 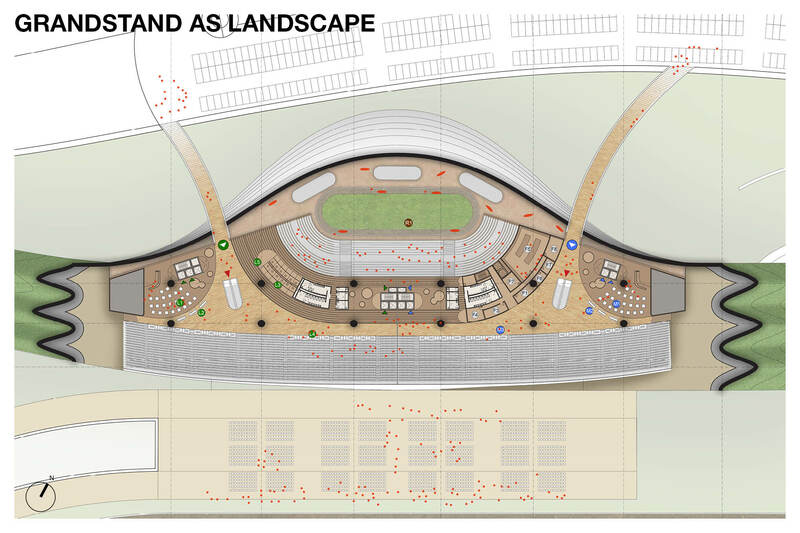 The grandstand is a signature building that rises as part of the landscape ribbon. The use of locally harvested wood and other sustainable features will make this a low carbon building. 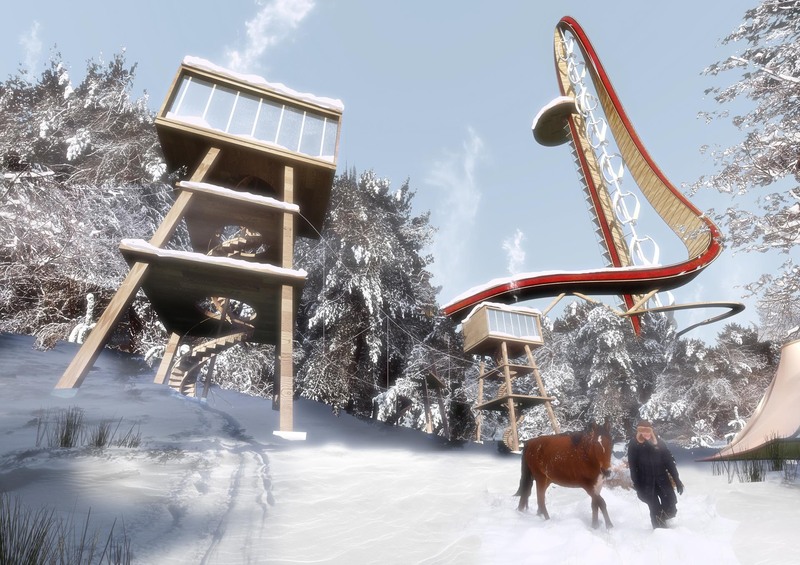 Horsetopia will provide visitors with programs of fast excitements and slow enjoyments. A variety of programs are multi-seasonable, educational and connected to local community. 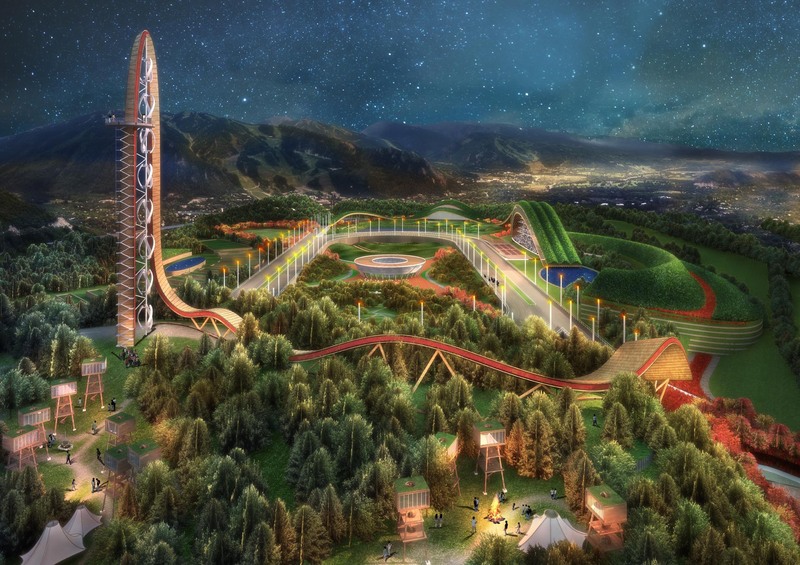 The low carbon design brings “eco-tourism” to customers, while sustainable features will keep the park economical, functional and aesthetically pleasing. 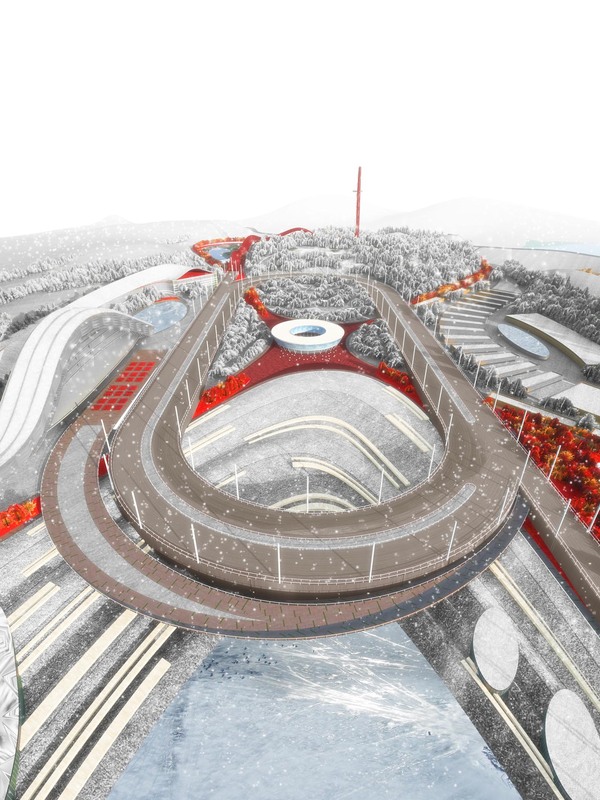 Horsetopia will elevate the social status of horse and horse racing while rebrand Yeongcheon as the city of relaxation at a national scale. 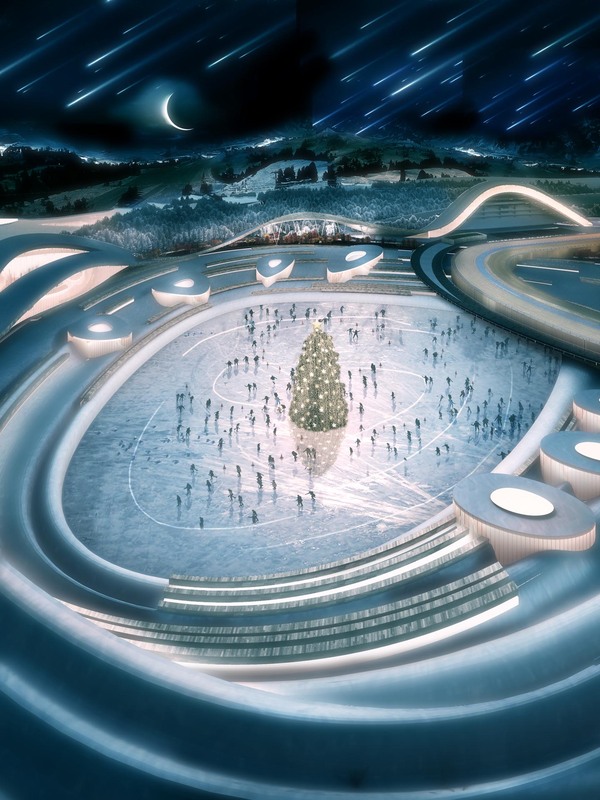 Horse racing, horse-riding, ice skating, sky-walking, outdoor seasonal games. Camping, horse training, hiking, farming, museum, workshops, green kitchen. 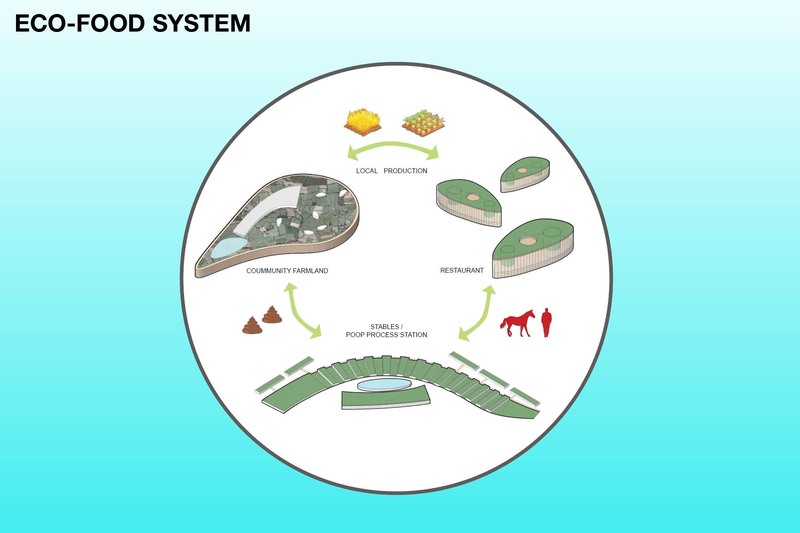 The strategy is a continuous combined efforts of Horsetopia, Government, investors, marketing practitioners and citizen. 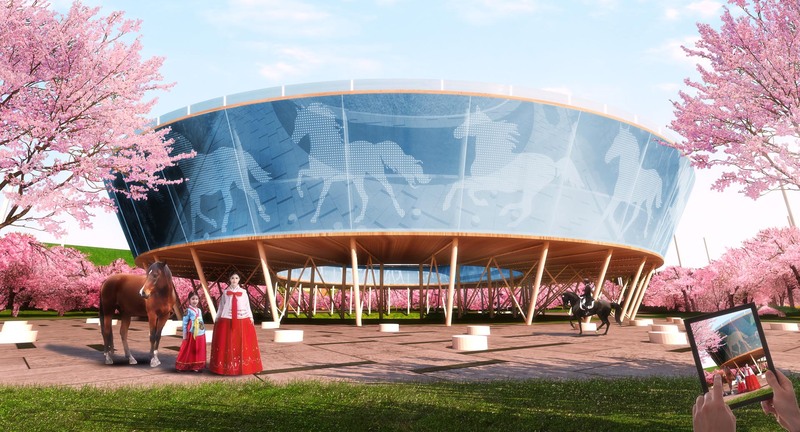 It aims to brand Horsetopia as a utopia for people, horses and nature living in harmony, and hence to brand Yeongcheon as a “City of relaxation” in a national scale. 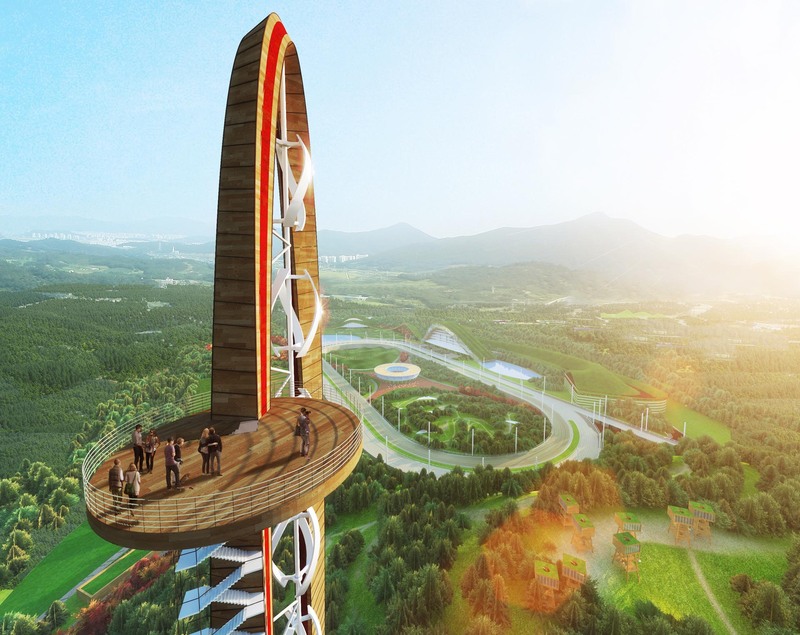 It is to tell that Horstopia is one-of-a-kind theme park and worth visiting. It embraces both entertaining excitements and real relaxation with nature at the same time. Marketing & Branding: Matisse Design LTD.